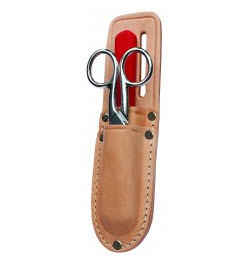 The Platinum Tools 10522C Scissor-Run Electrician's Scissors Kit comes with the 10520C Cable Splicer's Knife, the 10517C Scissor-Run Electrician's Scissors-5", and the 10521C Leather Pouch. This kit puts your knife and scissors within easy reach at all times. Platinum Tools, founded in 1997, was created based upon two very simple objectives. First, develop and source the absolute best possible solutions for the preparation, installation and hand termination of wire and cable. Second, implement an operational infrastructure that can deliver these products in an efficient, timely and high quality manner. All Platinum products absolutely must satisfy three critical benchmark criteria, utility of function, quality of function, and economic value.